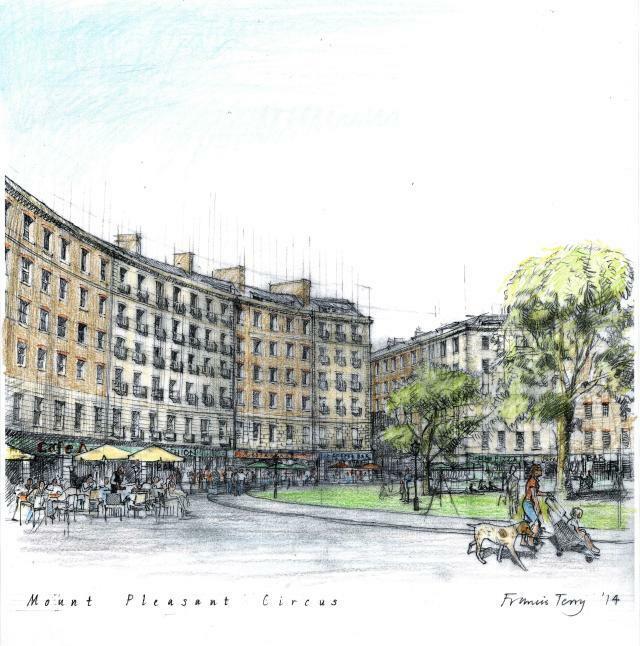 The approved design for Mount Pleasant, from architects AHMM, Feilden Clegg Bradley, Allies and Morrison and Wilkinson Eyre Architects. Source: Cityscape. Another image of the approved design. An alternative vision for Mount Pleasant, by architect Francis Terry for the Mount Pleasant Association. 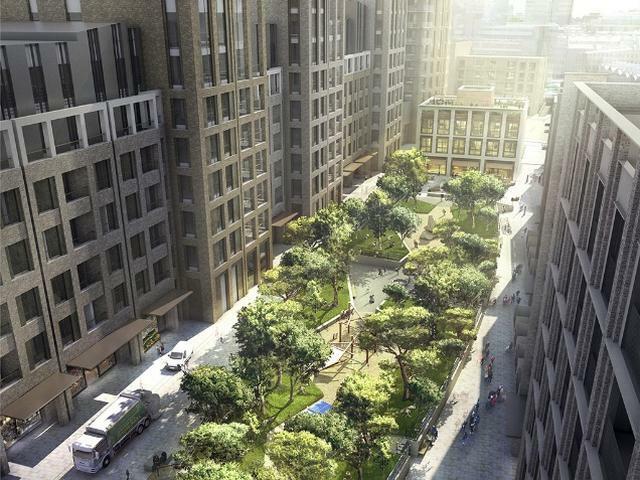 Part of the Mount Pleasant sorting office will be turned into 681 new homes after Boris Johnson signed off on the redevelopment plans on Friday. 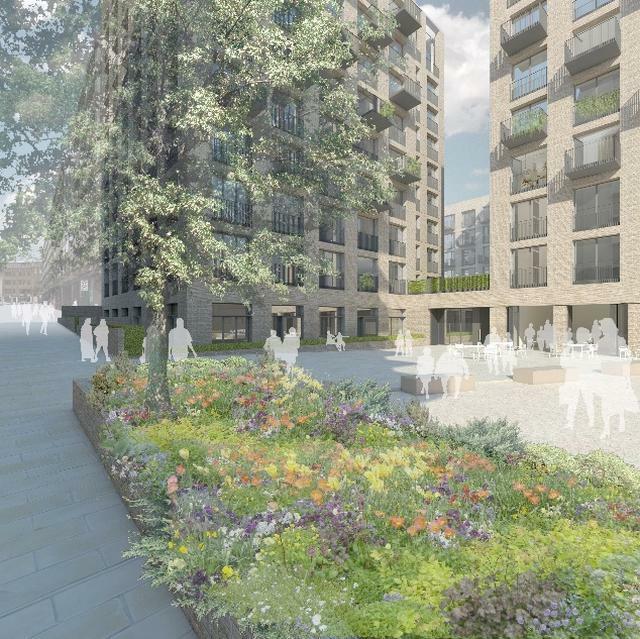 The Mayor controversially 'called in' the scheme after Camden and Islington councils and residents objected to both the design and the low amount of affordable housing planned — originally pegged at 20%. Today's sign-off comes with 23.9% affordable housing, 98 for 'affordable rent' and 65 for shared ownership. But how affordable will those rents be? A City Hall press release says the average will be 44% of local market rates but that larger family homes will be around 20-30% of market rates, which implies smaller flats will be more expensive. The GLA's own rents map says three bedroom flats in Clerkenwell go for a median £2,365 a month (there aren't enough 4+ bedroom flats to provide meaningful data!). 30% of that is £709 a month. Let's assume a two bedroom flat will be rented at around 60% of market rates. An average two bed in Clerkenwell can command £2,042 a month, which would make these 'affordable rent' flats a steal at £1,225 a month. In case you missed the sarcasm, that's way out of reach for anyone on minimum wage without resorting to housing benefit. Islington council fulminates that its independent advice shows Mount Pleasant could support twice the amount of affordable housing, and be actually affordable (closer to what we used to think of 'council housing' rent levels). There's also been objections to the design, dubbed 'fortress-like'. Confusingly, despite granting Royal Mail permission in principle for the planning application (subject to a Section 106 agreement), Boris Johnson also told local opponents the Mount Pleasant Association to carry on developing plans for their "beautiful" alternative. Which rather feels like the Mayor trying to have his cake and eat it.